Thousands of fake coins are sold every month on eBay. If coin collectors would follow these five simple steps, not only would they not get saddled with fakes, they'd help put the counterfeiters out of business! When you buy coins, look to see where the person is shipping the coin from. If it is China or Hong Kong, do not bid. No matter how appealing the coin looks, no matter how great a deal you think you are getting, no matter how good the sales pitch is, do not buy any coins from China or Hong Kong based sellers. Although there are laws that prohibit counterfeit coins from being shipped to the United States, these unscrupulous coin dealers ignore them. Following this guideline will prevent you from becoming a victim 90% of the time since 90% of all fake coins on eBay come from Chinese sellers. Before you buy any coins on eBay that are not certified by PCGS or NGC, always check the seller's feedback to see who is buying his coins. If the seller has done transactions with buyers based in China or Hong Kong, do not buy coins from him! This tip might seem to be a no-brainer, but you'd be surprised how many dishonest people do all of their buying and selling from the same eBay account. Check the feedback to see who they buy from by clicking on the "Feedback as a Buyer" tab on their feedback page (which you can reach by clicking on the number in parentheses next to their eBay handle). If they have ever bought coins from China, even once, do not buy from them! Most Chinese counterfeiters sell off eBay after the first purchase. A raw coin is a coin that hasn't been graded and authenticated by a reliable grading service such as PCGS or NGC. 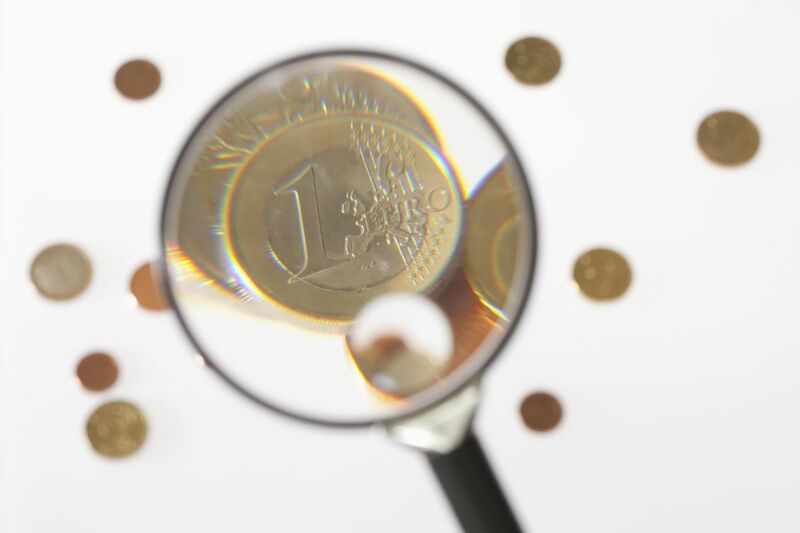 Even though a coin might be in a plastic holder of some kind, unless it is in a top grading service holder, it doesn't offer any protection against counterfeiting. It is very difficult to judge the authenticity and quality of a coin based on photographs alone, especially the less-than-expert photos often seen on eBay. And even if the photo is great, who's to say that you will actually receive that coin? Counterfeiters are known to use genuine coin images but then send out fakes. Avoid becoming a victim by never spending more than you can afford to lose when you buy raw coins on eBay. A favorite practice of counterfeit coin sellers is to claim that they are not an expert on coins, so you should judge the photo for yourself. They might claim that the coins belonged to a recently-deceased aunt or that they bought them at an estate sale. What these claims have in common is that they usually disclaim responsibility for the authenticity or grade of the coin. Therefore, they are selling the coin "as is." Never buy raw coins on eBay unless the seller will guarantee their authenticity. This guarantee of authenticity should be backed up with a return policy of at least seven days. Don't be a sucker for tall tales, thinking that maybe you'll make a score. More often than not, it'll be the seller laughing all the way to the bank rather than you, the buyer. Always pay for coins on eBay using your credit card. Even if you use PayPal, use a credit card to fund the transaction. The reason is that under current U.S. banking laws, you always have the final say on that money when you use credit card. This does not apply to. The eBay and PayPal "Buyer Protection" plans are weak, and buyers complain all the time about how difficult they make it to collect on a claim. But credit card transactions can always be charged back as a last resort. Even PayPal cannot override a credit card charge-back. If you pay with a credit card, the final power is always in your hands. What is a Raw Coin and is It Worth Buying?